Advice about workplace motivation often suggests purposely assigning a challenging task as a way to help an employee become more enthusiastic. It will probably be more useful to the employee and the organization to help him or her see that the regular work they were hired to do is worth doing and worth doing well. When employees only feel energized when they are engaged in new, unique or special projects, there is a tendency to feel let-down when those projects are completed. Routine tasks then seem even less significant than before. Make it as worthwhile and satisfying for employees to do routine tasks well, as it is for them to accept and fulfill a great challenge. While you are at it, remember that observing and acknowledging dependable, daily task accomplishment is part of your routine work–and just as valuable as a project that tests your abilities in a dramatic way. You may never be responsible for leading the battle that saves the kingdom, or riding with the message that saves the battle, or even shoeing the horse that carries the rider. 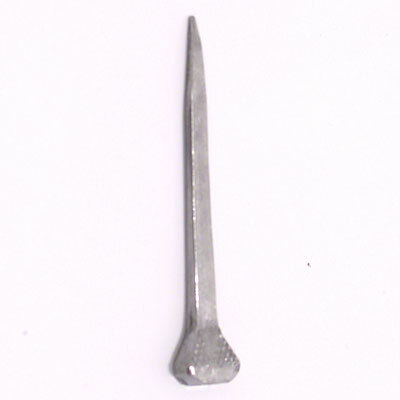 Nevertheless, do not underestimate the value of being the one who monitors the supply of nails. Hello, I found your site while looking for some training on assessment centers. This post caught my eye and I wanted you to know that, with your permission, I’m going to use it in my oral resume presentation. I’m going to use it to describe why I believe captains have to pay attention to details. Thank you for your work in law enforcement. How are you liking the hot weather in Missouri? It’s not much better here but not so humid. This was a good article, as usual. This was very inspirational to me today. One of the great promises of our Lord is that he who is least can be great through faith. I realize that isn’t your message here, but it was a thought that occurred to me as I was reading. Take care in your travels. You’re in our prayers and thoughts. Don. R.
I’ve never heard the entire “poem” about the nail or even understood it before. That’s the reason I enjoy people like you who take the time to check things out. Keep up the good work! I enjoyed reading the 4th of July post too. Very good! H.
Tina says: Thanks to all of you for your comments. I’ve sent each of you an email. We all can be valuable and we should let others who are doing good work feel valuable as well!